July 2013 – River Mangrove Are The Life Of Climate.IS. The Advisory Committee on Forestry (phyaka) groundwater protection scheme did not. The six-member committee to review the proposal and decided to make clearance. The agents of the Committee of Environment and Forests of the project is to advise the Government of India for setting up of small power stations. Recommending Committee has been implemented in Manipur Manipur and Mizoram states in the groundwater of 78 million trees in the forest will be cut bamsagacha of 7. The large wild animals living in the area would lose. The groundwater in the area of ​​1 557 indigenous families living agents will be evicted. Groundwater in the area of ​​an indigenous group living in which there is no longer anywhere. The copy of the committee’s decision was sent to the Ministry of Environment and Forests. Committee meeting held on July 11 and 1 six projects were discussed. MW power generation capacity of the groundwater in the project, and three and a half thousand megawatts of production capacity dibam project has the approval of the Committee. The project was identified as a major priority of the two prakalpai. Of groundwater project was approved on behalf of the highlights of the meeting of the Advisory Committee is to establish the বিদ্যুৎকেন্দ্রগুলো kamabesi the trees are cut. But for a project in the amount of trees that are cut, groundwater quality for more than 100 trees will be cut. Banabisayaka the National Advisory Committee member Mohammad Firoz Ahmed, also attended the meeting held under the chairmanship of Prof. P. todariya, additional commissioner of the Department of Forestry sriramana Kanti Mishra, MS negi, in juda sribastaba and bake. If you want to know Forestry of the National Advisory Committee, a member of the muthophone said, the groundwater projects that 78 million trees are cut, the total forest area of ​​Manipur is one – fifth. The power to destroy a lawn, it is logical economic and environmental way. Earlier in May and 008 in the environmental clearance given to the project from the Department of groundwater. Environment – The Advisory Committee visited the area in a helicopter groundwater environment clearance is recommended. On behalf of the Government of India in the construction of Tipaimukh dam information is sought. Many of the country’s top-level meeting was called on behalf of the Government of India, tipaimukhe that will not do anything, so all is no damage. Groundwater projects in India and Bangladesh Joint Rivers Commission discussed more than once. The groundwater from the project – the various research reports and documents have been given to the sources of the Joint Rivers Commission. The groundwater project is designed to help make the kind of impact that the review of the Water Development Board’s research organization Centre for Environment and Geographical Information Services (siijiaiesa) and the Institute of Water madelinke (aidabliiuema) was responsible. The two research organizations in Manipur have already been studied before June next year, but it’s not going to last. The Manipur state government with 010 of 8 April haidroilekatrika Power Corporation (enaeicapisi), sutaleja Power nighama Lee. (Esajebhienaela) to set up a hydroelectric power project on the deal. 011 after the October contract is renewed. After receiving the certificate of exemption from the Department of the Environment for this project was identified as devastating to the environment and surroundings and celebrate. The project is implemented in the eastern area of ​​Sylhet and adversely affect adjacent haora. Bidyutkendrera that the reservoir will be constructed, less as a result of the eastern monsoon season. The monsoon season, when the flow of water from the reservoir area will be in the form of devastating floods. ‘Ila am agretesa, the Turtle Island will be surprised. They deviating roach. Here – I parache eggs. ‘Son love – at. Many of them are very careful to leave it there. I lay there in the trees bamcacche stomach. The turtles eat plants that will survive – abakai is heard. But the reality is so. Many animals and plants in Mauritius that was more due to population pressure and the almost extinct today. Extinct species of plants and animals everywhere are trying to protect. Mauritius is a wonderful way cestata. So what am agretesera ila. There are already a few cows – many of which were chagalasaha, which is actually an alien. In other words, there was no time to bring them out. Recently, it has been praniguloke it off. In the past year, but not now because oigulo – something that can never be brought back to gachake. Seedling plants for animals – goats will eat. So the cow – goat is off. He brought the bulk of the turtle species. But the able-bodied, and the system should be. Plants are planted in the island and then go extinct. The fruit of the tree is. Turtle Cow – goats do not eat the seedlings are waiting for the fruit. This is a tough, tough seeds. As a person on the ground as well as the top seed germination is difficult to cover. This is not an increase in the number of trees. But the seeds come out with a turtle fruit plays a mall in abaranamukta. Ankurodama result, the plant is a plant from the seed. In Bangladesh How Many !!?? The country will cancel the contract !? 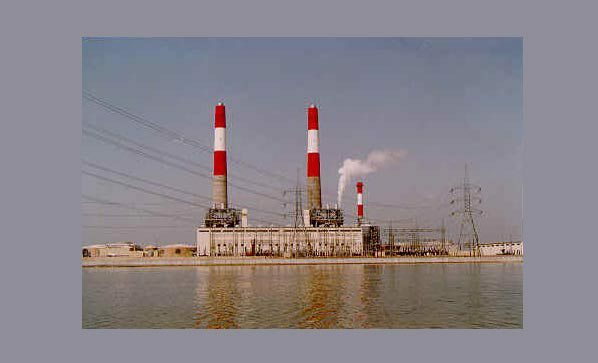 Rampal thermal power plants in India and the joint venture agreement, the cancellation of a post with altimetama oil – gas – coal mining and power – Ports of said committee, it will be lammarca Rampal direction. The VIP Lounge of the National Press Club organized by Save the Sundarbans, Sundarbans save Rampal thermal power plants are closing the issue is announced at the meeting. 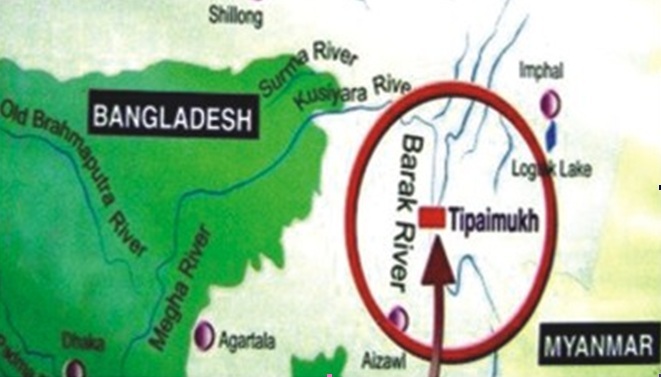 Anu he said, the government of Bangladesh Rampal sapamari – katakhali maujaya almost the end of 1834 acres of land has been acquired. Which is just 10 km from Sundarbans Away. The paper shows the distance of 14 km. The power of the government to implement the pond filled, carbon emissions, forest ksatigrastakarana, World Heritage ksatigrastakaranasaha local container forest – total five foreign law or is in violation of the Convention. He said he was forced to abort it immediately. The ramapale 1 of 3 0 MW coal-based power generation capacity for the production of 0 in the three agreements between Bangladesh and India. Experts say, is not only a financial loss, ramapale coal-based thermal power plants, including the installation of the Sundarbans, Khulna, Bagerhat and Satkhira development adversely affect the biodiversity of the region. The loss of soil fertility in the region will lose regardless of wildlife habitat. India’s National Institute of National Thermal Power Company (enatipisi) and Bangladesh Power Development Board (PDB) jointly implement coal-based power project will cost 13 thousand 00 crore. In other words, 30 percent of the total cost of the PDP and the Indian company will spend 960 billion enatipisi. In other words, each of which 15% will be invested. 9 of the remaining 70 percent or 40 percent will be funded through debt, which enatipisi will collect from various banks and donor agencies. 85% of the electricity projects will malikanai enatipisi ‘s hands. The price of electricity produced from the project is also a humming sound. 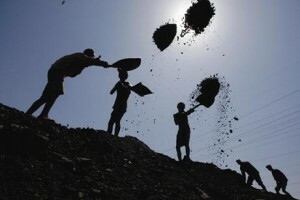 Coal imports were not informed about the government clear. Kayalabhittika on the import of electricity produced from these power plants are the experts expressed concern that the price will be much higher. 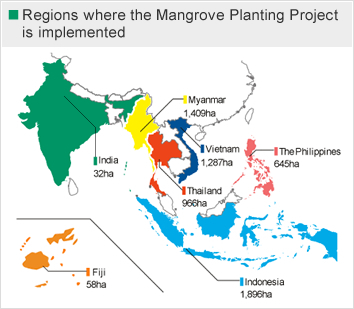 India’s Interest Will Destroy The Heritage And Mangrove!! Our unique symbol of the tiger and mangrove(rampal). The surprise of the Bengal Tiger in the Sundarbans of habitats. The forest life – one of the unique nature of the reservoir. The build-up of species biodiversity in the Sundarbans, the largest mangrove forest. Sahabasthanera people around the world with the ever invent a new way of being right on the threats that exist in the Sundarbans of India and Bangladesh are going to make a huge Rampal kayalabhittika 13 0 MW project. Coal is the worst of the Common jbalanigulora. Over a hundred years of continuous use in the coal dusane storm across the globe – Bore – drought, tsunamis – Katrina – Sidr – AILA everyday now. Sidr in Bangladesh – AILA’s life and yet we did leave the wound. This Sidr – AILA, the limit would defy the imagination of the Sundarbans certainly did not become a barrier damrata citiye natural fury. This Southern-sundarabani ‘if you do not interfere in the southern edge of dhbansalila be saved until the end. The Sundarbans is not only our natural raksakabacai. It only take 5 million lives and livelihoods. The Sundarban Sundarban dusane etasaba fit to ignore the constant environment of continuous losses without a remedy, it is not just a kilometer away from the eyes of the Sundarbans thuli pariye leads kayalabhittika ramapale going to be the center of power. Rampaul already forced evictions of families from the 4000 acquisition of 1834 acres of fill soil has been started. The two-year project to implement the decision, the company completed the acquisition of the land and the people are illegally Environmental Audit Report (iaie) was released earlier this year. This is Sundarban iaie in the environment – and to ignore the surroundings of the project yenatena prakatabhabe appear to have been advocated. Rampaul has been in the business partner of the project. According to the agreement Bangladesh – India is a joint investment of 30 percent. Bharaterai 70 percent of the bank loan to Bangladesh uccasude. The projects in the Indian capital equipment business, the company said. India at the end of the Business Tax Holiday. The electricity produced will buy the Indian authorities set harei. Only 15 percent of the electricity Rampal investment projects in the Indian adhipatyabada be established. All liability for damage will be borne by the banladesakei. In accordance with the agreement of both the business and the profits will be divided into two equal. In fact, just 9 km distance from the project area in the Sundarbans, the government is promoting the distance of 14 kilometers. According to the guidelines bharaterai iaie creature – the importance of diversity in an area of ​​5 km around the power plant is set up. This means that India lives in accordance with the laws of your country – the Destroyer could not think of a project – the ultimate crisis bharatai the menu has evolved into a business associate of the profits Rampaul to eat molasses. 1 of 600 MW capacity coal power plant in Texas was established almost 30 years ago. This is the power center of the Acid Rain continued dusane ashes astarane prakatataya 48 km across thousands of oak, pekana, elm trees were already die. This is in the center of a power plant in the garden artificial dusane gachalira pathetic state – but only 9 kilometers away in the dense Sundarban dusane Rampal project that within the next 10 to 15 years will be lost Experts are concerns, it is not exaggeration at all. Any project that uses technology to prevent pollution at the end of it, but I think they are from. Increased use of technology in the profit dhope not teke, the pollution preventive equipment is also available until the end of production. 13 MW power plant at Rampal to be 0, so the spread 14 tons of toxic sulfur dioxide, 85 tons of nitrogen dioxide, 600 tons of ash in the Sundarbans to make sure that there is no doubt that people will call. If the level is dhareo optimistic that the project is too expensive pollution preventive measures to be taken, accountability culture, with Rampaul project will start in the center, but still in the deepest part of the required 47 million tons of coal in the Sundarbans will be transmitted through. Tani tani laitareja bulk carrier ship in the world of bacharabyapi anagona, intense sound, the ship can be read cuiye oil, coal bhanga pieces, lanes tremendous surge in the Sundarbans ikosesteme dhabansatmaka not leave any doubt about it, the consequences will call. Development of the Sundarbans, held the first victims of the devastating murder of her sapamari katakhali, kaigaradasakati, kapasadanga, baserahula maujasaha Rampal family of 4. Forced them to be without foundation soil has been stripped of the land of rice and cow shed. It covers 1834 acres per year that was 1300 tons of rice and 600 metric tons of fish – it’s already closed. This project sort of catastrophic family life is broken. They are now refugees. Some of them are very rough dinamajuri dinanipata saharamukhi keuba in the slums are being forced to choose life. Rampaul to ensure the destruction of the Sundarbans is an expert in the corridors percent are concerned. Different interpretations – analysis, meetings – Seminar ‘is being made at the moment. But the ruling class kumbhakarnera bhanchei not sleep. We’ve seen them from time to time to protect the Sundarbans ‘gayebi’ staff. The initial project under the supervision of the army was to immerse myself in my work. 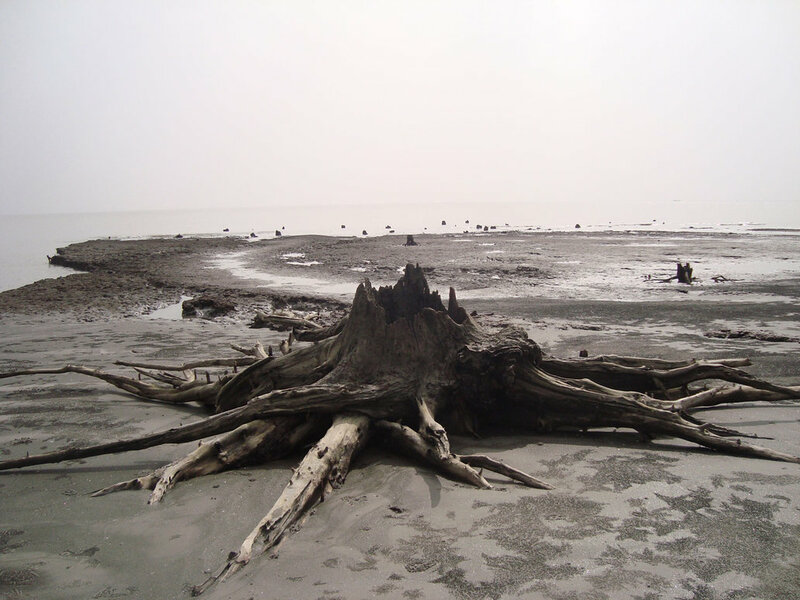 Rampal at the end of the Sundarbans sasakagosti as an alternative to trying to pretend. Bhabata that, the development of the ‘Sundarbans’ take bidyuti. In modern times we use the limited resources sustha hajarata affordable way to produce electricity. The build-up of the evolution of the Sundarbans, the only one of us. The project was completed in ensuring the destruction of the Sundarbans Rampal .. The Mitsubishi Public Affairs Committee, in which Tokio Marine & Nichido is participating, has been sponsoring the Mitsubishi Asian Children’s Enikki Festa since 1990 as an effort to encourage people in Asia to understand each other’s cultures and build a better future together. The Enikki Festa is an exhibition of illustrated diaries solicited from children in Asia between the ages of 6 and 12. The aim of the exhibition is twofold, specifically, to support literacy education and serve as a platform to foster mutual understanding among children. The Enikki Festa has been presenting the outstanding works of children in Japan and overseas. Some of these works have been turned into learning materials and distributed to participating countries and regions to promote literacy education. In fiscal 2010, Tokio Marine & Nichido participated in the educational support effort led by the international NGO Room to Read. During the three-year period until fiscal 2012, the company donated about USD100,000 annually in India and Bangladesh to provide comprehensive support for impoverished and vulnerable girls to help them attain independent living in the future and offer a study environment for children by opening reading rooms. For girls not attending school for economic reasons or because they are tied to household duties as a result of their parents’ lack of understanding, the program offers financial aid for tuition fees and endeavors to convey the importance of education to their families through home visits. These efforts have allowed girls to continue education, with many achieving excellent performance in their schoolwork to make their dreams a reality. In the last two years (2010 and 2011), the company’s cooperation assisted a total of 557 girls and led to the opening of four reading rooms. The 6000 tons of sulfur dioxide yaesida rain original controller, and 65 0 of nitrogen oxides in the acid rain is and chemical fog of the controller, 9.6 million tons of carbon dioxide, 1300 tons of small particles (harmful chemicals added), 57 tons hydrocarbon, 518 thousand tons of chemical weep, arasenika 585 pounds, 96 pounds of lead, 10 pounds of cadmium, and radioactive substances like uranium with. 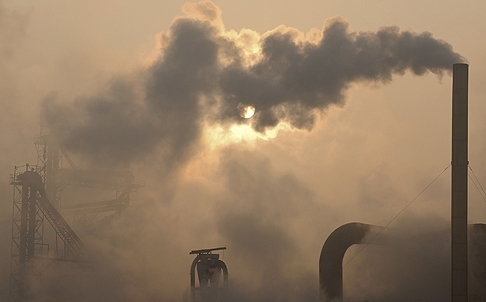 The temperature of the waste gases emitted from the chimney height of 75 meters will be 1 of 5 degrees Celsius. The temperature will be around. Sundarban animals – birds, plants on the ultimate impact. This is due to the thermal power stations likely to absorb demonstrate the Sundarbans. Cyclone sidare the whole of the flat earth bamciyechila the Sundarbans. This forest is very easy to absorb when any natural disaster to hit the hanabe flat earth. As a result of the acquisition of 8 acres of land in 1830 dhani family will be evicted. Rampaul employment may be at the center of the top 600 people, refugees, and the action will result in almost 7 500 families. But, we have a couple of crores every year haraba agricultural production. Lots of water is needed to produce electricity at kayalabhittika project. Rampal project will meet the animals from the Nile River. Salt water and fresh water balance of the river animals keep their special role. This nadatira connection with the whole region, including the overall biodiversity. But this project was to create a river that has been endangered astitbakei. Sundarban goods and equipment to build power stations will be transmitted through the river. Nadisasanera need for transportation. Nadisasanera the water will ghola. Increased movement of vessels, oil discharge, sabdadusana, lighting, waste emissions, especially in the Sundarbans eco-system of the Royal Bengal Tiger, Deer, Dolphin, on the harmful effects of mangrove forest. Nadisasana If you do not properly oil – contaminated water must be disposed of grija . The river riparian mangrove forest animals that have rows that will cut jeti nirmanasaha a variety of reasons. Serious environmental pollution caused by coal-based power plant typically stored in the forest, and settlers from 0 to 15 km of the coal power plant construction is approved. The proposed 13 MW Rampaul 0 Coal Power project is just 14 km away from the beautiful forests of the Sundarbans, which is around 10 km enabhairanamentali Critical Area (ECN), 4 km away from the safe, as has been claimed. But the Indian enatipisi the Sundarbans in the Power Center to build on the bharaterai Wildlife Protection Act, 197 and, according to the center 15 km radius of any tiger / elephant conservation areas, biodiversity is important for forests, national parks, wildlife sanctuary, or any other protected forests Must not have. This project is the final space, land acquisition and construction of the power plant after the contract signing all done, the environmental impact of construction, survey and public opinion has been sought on the site of the Ministry of Environment and Forests, which is ridiculous final. Sundarban environment threatened by pushing the responsibility to create ramapale heat bidyutakendra bootlicker of U.S. imperialism in India. Indian interests, the interests of the sbaghosita bikiye patriotic She .1996 of 1 December with a 30-year term of the Awami League government signed the Ganges panibantanera Assam. The March of 1 006 in the prevention of trafficking in illegal drugs and nesajatiya products and 007 products in the two countries under the Agreement of 6 June and the agreement of the two bhaotabajira p. The Awami League, B n P, Jamaat-e-Islam, one of the party all the time. It’s a massive repression on the people in power. The interests of the people of the world imperialist system does not take into account the interests of the tabedara prabhudera ruling party. They came to power in the early prahasanera. The selection of the Americas – the interests of the game. P is the servant of the Awami League and the NBA. Coming ahead of the election, the Awami League government of India has achieved the pressure of his interests., And the way the country is going through the finish. This will make him win the election. Patriotism or the interests of the people they pinpoint. The project is complete agreement with India Rampal, Sundarbans devastating arthanaitikabhabeo the agreement is not profitable at all, the agreements ensure that the Suggestions! Only one way to ganapratirodha, has been forced to flee the ganapratirodha Asia enarjike patatari wrap phulabari from coal, the ganapratirodha Airport ariyala bill to establish a life – living in devastating plot against the ganapratirodha gave birth kanasata phenomena, we need to ganapratirodha ramapale.